Skate lessons are available on Sunday Mornings from 11-12. $20 a class. Skaters can skate as young as the age of 2 up to adult. Lessons will be broken up by age and skill level for the basic skater. Private lessons can also be available upon request. Lessons will be taught by Jacqueline Barr, a local Figure Skating Professional who has been skating for 26 years. Jacqueline began her journey at Hollydell Ice Arena at the young age of 7 and hasn’t stopped since. She is a protege from the University of Delaware’s prestigious Collegiate Figure Skating Team and has 17 years coaching experience coaching all different age groups and disciplines. Jacqueline is a US Figure Skating and Professional Skaters Association member. 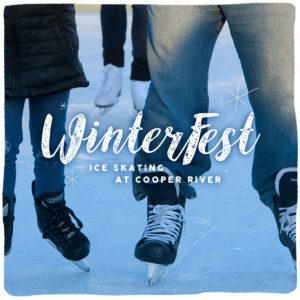 WinterFest Skating on the Cooper is sponsored by TD Bank and presented by the Camden County Board of Freeholders. For more information about WinterFest, Click here.